You will find answers to the most common questions here! Q: What does M925 stand for? 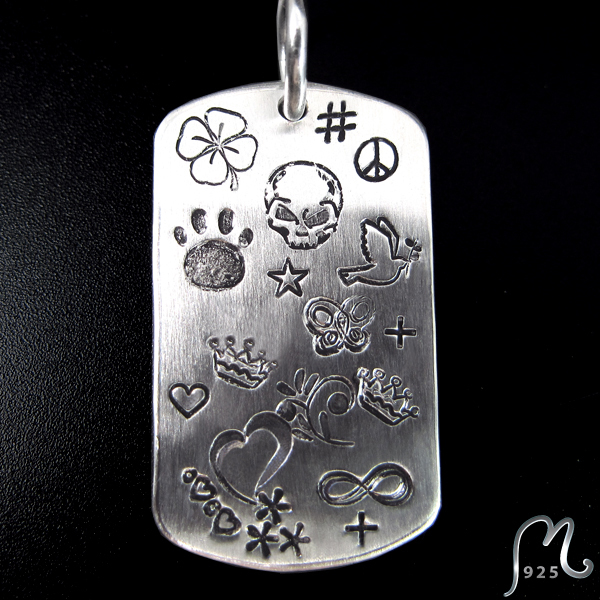 A: The “M” stands for Magdalena and “925” stands for the content of sterling silver. 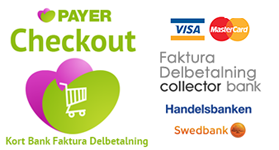 A: The delivery time is shown in the speech bubble to the top right of the web page. If you need your piece of jewellery earlier than that, please indicate this in your order and we will do our best to fulfil your wish. Q: What kind of silver are you using? A: We use 925 Sterling silver for all of our jewellery. Even chains, loops and clasps are made of 925 Sterling silver, which the stamp 925 indicates. Q: I ordered a bracelet from the webshop and wanted to change the order to two pieces instead of one. However, it did not work..? A: When you change something in the order, you must click the update button afterwards. Q: I find it difficult to know which cahin lenght to choose? 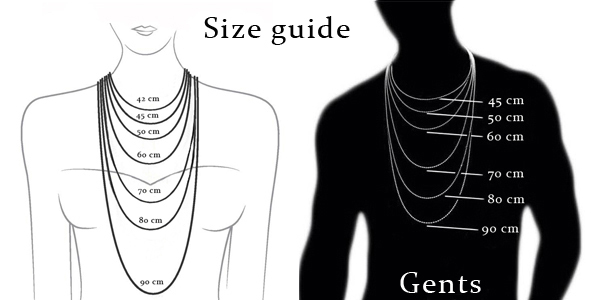 A: Follow our size guide below ("normal body) or measure at home with a piece of string/cord. Q: I need the piece of jewellery this Friday – is that possible? A: We are often able to prioritise an urgent order. Make a note of this on the order sheet and we will do our best to fulfil your wish. Q: Which symbols can be ingraved on the piece of jewellery? A: Except letters and numbers you can have the following signs engraved: Eternity sign, Heart, Swirly heart, Star, Piece Dove, Clover, Skull, Princess Crown, Butterfly, Dog paw, Peace sign, Plus sign, Three Little flowers, Flower wreath, tre small hearts, Hashtag and the &-sign. Date is written 010909 (no hyphen nor slash sign). Q: I just purchased a necklace for my son as a confirmation gift. It has now become somewhat yellow-grey. What is the reason for this and what can I do? A: Sterling silver oxidises when it has been in contact with sulphur for a while. All human beings secrete sulphur through their skin, some more than others. This, together with the sulphur in the air, makes silver oxidise. But, it´s easy to remove! A cleaning bath works very well to remove oxidation. You simply dip the jewellery into it for a few seconds. A silver polishing cloth is also a good alternative. These can be purchased here in the shop. Using a toothbrush and toothpaste also works very well. You can read more about taking care of your silver jewellery here. Q: How long can gold plating last? A: Gold plating, also called silver-gilt, is silver covered with a thin layer of gold. The plating gets worn out over time, how soon depends on how much it is being used and how it is maintained. A gold plated bracelet will of course get worn out sooner than a pair of gold plated earrings. One should be extra careful with gold plated jewellery, as the layer of gold is very thin. Do not put it in a cleaning bath. When the gold plating has been worn away, the silver can be seen underneath. However, the plating can be replaced.